Finding a compact car that can "fit" four full-size adults is not always easy, but the Fit can do just that and more. The 35-mpg Fit offers good fuel economy, excellent resale and reliability ratings and legendary Honda build quality. It's safe and handles great, the short front and back end are perfect for city dwellers and parallel parkers, and It's comfortable even though It's small. I have done cross country trips and it was very comfortable in the Honda Fit hatchback. It's small and compact yet holds an amazing amount of stuff on the inside. We have done ikea trips and costco trips and have rarely not been able to fit what we bought into the car. We live in the city so the small car, and especially the very short front and back end, is great for parking in small spaces and parallel parking. I do wish it was a different color, but it was 400 bucks cheaper to go with the color they had available when I bought it. 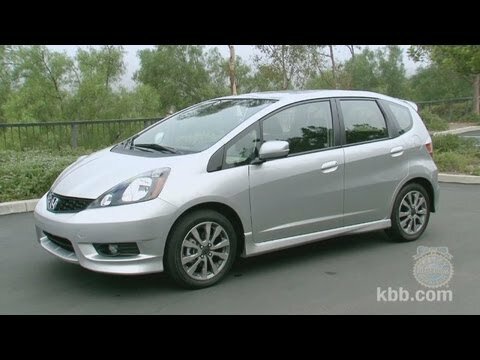 Our Honda fit is wonderful! I can sum up our experience with our vehicle in one word: wonderful! Have never had any problems with it; bought it in 2011 and it is been good ever since. I might add that it is our only vehicle so it gets a lot of use of mostly local driving with some occasional long trips. We highly recommend the Honda fit and have seen many more on the roads compared to when we first bought it in 2011. I am always shocked by how much I can fit in the back of the car! My favorite thing about my Honda fit is how functional the space of the car is. I enjoy driving a small car because I feel in control of the vehicle and can parallel park easily. It also has great gas mileage. I used to have a Camry, and wasn't able to transport as much of my stuff as the fit can. I love putting down the back seats and being able to fit my bike, large paintings, etc.